Great map if you want to do more than "the standard"
Well, it is only the Pakistan part of Hindukush. 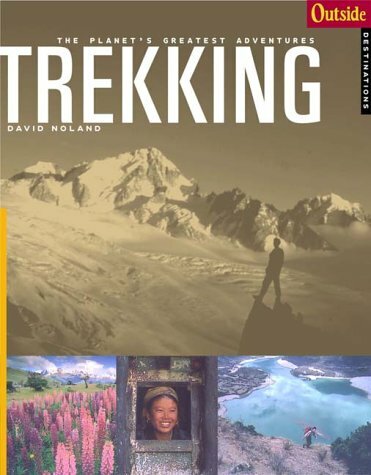 This is by far the best travel book about the region which I found to be the most challenging for trekkers of all the places I have visited. I used it on two journeys to the Karakorum. 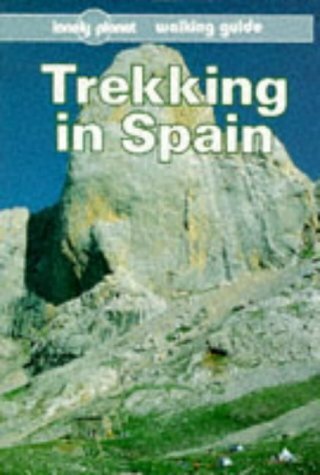 The book contains besides the obligatory historical and cultural insights the description of the most outstanding treks in condensed form. For me and I think for most trekkers, the most important informations are what the demand and the highlights of the tours are and how to get to it. If you have to turn right or left on a certain stage is not what you are going to read when you are already on the way. Much more important are good maps since there is also a deplorable lack of maps on this mountain area. This book has a good collection of drafts. But taken into consideration that the treks had been done by the authors it is sometimes a little disappointing that they missed to go more in detail. The number of days for a trek is very much depending on your physical fitness. I did all the treks in a shorter time than proposed, which should be known beforehand for better planning. Also that the authors did not dare to tell us more about their subjective impressions. If not here, where else? If you have not seen the Karakorum, you missed the most impressive mountain scenery Nevertheless it is the best what you can get about this remote and neglected mountain area.! 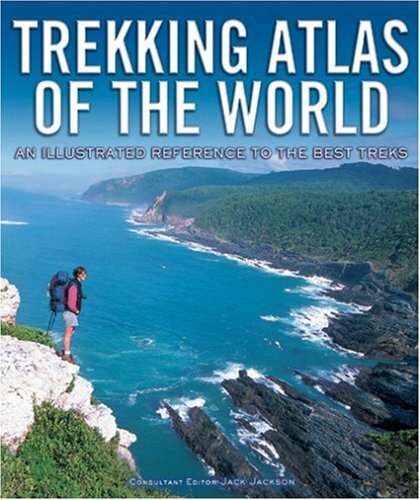 This is the best buy and must buy guide book if you are traveling to this part of the world. That's all I can say. Have two copies cause you need one to be with you all the time when you are trekking in this area and the other one can be stowed some where safe. The reason I am saying it is because it is very hard to find one. And I am lucky that I got it. Too often church-based small groups have taken on so much of the world's self-orientation that it is hard to recognize what is distinctively Christian about them. Dr. Stephen Greggo, with the release of "Trekking toward Wholeness," puts an abrupt stop to this intrusion of secular thinking into Christian group life. Writing with a theological foundation and a biblically relevant relational focus, Greggo, as the book's subtitle suggests, provides a "don't miss" resource for care group leaders. Using the biblical imagery of the spiritual life as a journey (a trek), Greggo guides small group leaders through the four core hallmarks of group spiritual direction: vision (determining the groups purpose), caring (meeting needs by managing community), affect/attachment (nurturing intimacy in relationships), and finding meaning (union with God, fellowship with Christians, and service to the world). At each landmark on the journey, Greggo equips group leaders through biblical exegesis, historical narratives, relevant research, moving parables, group "visits," and practical principles. 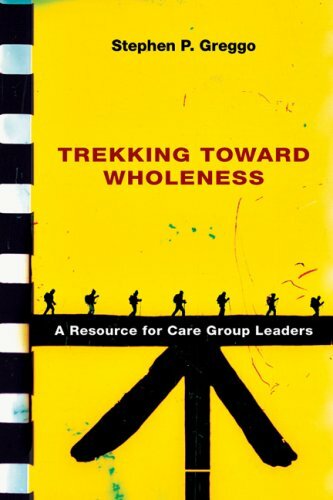 "Trekking toward Wholenesss" sees Christian small groups as an essential component for stimulating spiritual growth which Greggo defines as "wholeness." In his able, biblical hands, wholeness becomes not a self-orientation but a God/other focus. Readers learn how to ignite relationships through "the Word in community"--as equipped small group leaders model and direct the entire group to speak the truth in love. These leader-guided spiritual formation groups, as Greggo aptly explains, follow not only the biblical principle of true fellowship, but also the long church history tradition of small communities meeting together for spiritual growth through transparent relationships. Professors, students, pastors, and committed lay leaders will all be stretched by the seasoned guidance of Dr. Greggo. As a professor who teaches a seminary class in small groups, I know that "Trekking toward Wholeness" will be a required text for all my students. Reviewer: Bob Kellemen, Ph.D., is the author of "Beyond the Suffering," "Soul Physicians," and "Spiritual Friends." 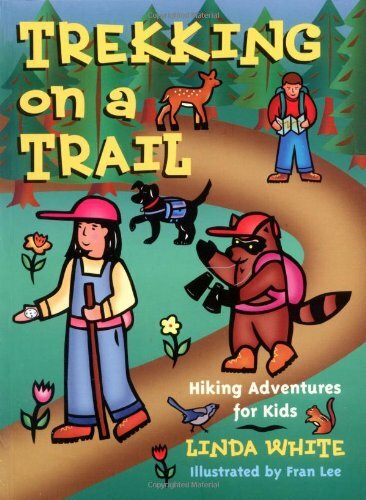 I purchased this book for my daughter (9) after we went on a fun hike together. It has some good tips and easy-to-read chapters. Most importantly to me, it allows her to take part in (or take charge of) the planning for our mother-daughter hikes. It was exactly what I was hoping for. Trekking on a Trail provides basic hiking information and suggestions for simple activites. A substantial portion of this book is devoted to safety information and lists of gear hikers should carry or wear.Much of this information, such as what sort of socks to wear and how to buy a pack, seems more aimed at parents than kids. a handful of suggested activities for children on hikes, such as making a hiking journal, hiking stick and skipping rocks on water. The Jordanian Dead Sea Rift includes some of theworld’s most rugged and colorful desert landscapes. Its dramaticcanyons are only now beginning to be revealed offering the trekkeruntamed desert wilderness. The guidebook is based on 12 months of thorough, day-to-day landscapesurvey of the Jordanian Rift, as well as on 6 years of leadingtrekking expeditions in Jordan. 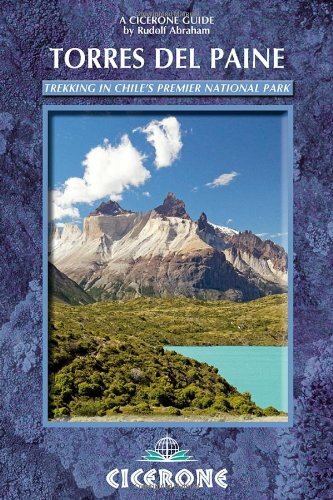 It is written from the perspective ofan experienced hiker and guide who is also an environmentalist andgeologist. We only spent two days hiking in Wadi Rum.We ended up going guided because we didn't want to waste time searching.Good thing we did - the trail was completely unmarked and we would have never found our way.Still this book offered great information that supplemented our guide who spoke very little English. 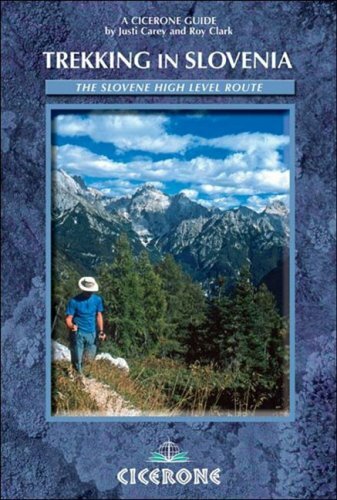 Excellent guide to an amazing hiking area. 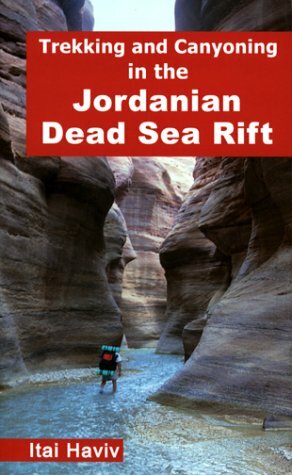 I hiked for 3 days in the Jordanian Dead Sea Rift using a guide and this book.If I had known about this book (the guide loaned it to me), I would not have needed the guide.It is excellent and unlocks to all readers this amazing hiking area.My favorite hikes be far were the ones up the "wadis" (Canyons) -- cool narrow canyons where the trail is a clear, cool stream.I am eager to return to Jordan to hike many more of the described hikes.Best for the hikes along the Dead Sea Rift.Also has hikes near Petra and two at Wadi Rum.Wonderful book despite its steep price. Very Useful, practical and well designed book. 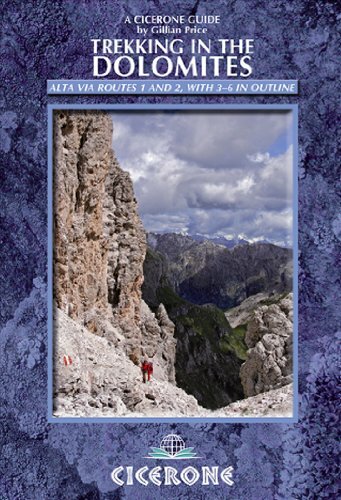 I recomend this book based on three routes I treked with my wife. The best one (as well as the longest one) was wadi Hassa (route 21 in the book), it is a wet and full of surprises two days walk. The pictures in the book are definitely encourage you to try more and more routes, and after two trips to Jordan, 5 day a time, we are only waiting to try the next wadis we did'nt walk through yet. 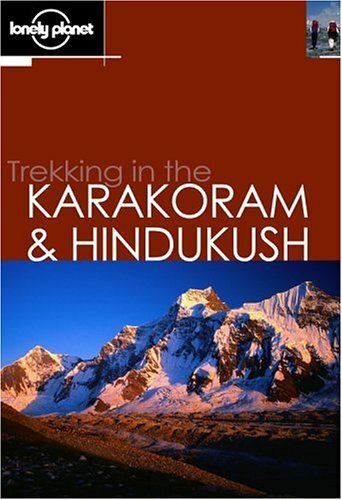 I went trekking with the aid of this book and was amazed how well the authors had done their research.I trekked with a woman who had met both Ben and Isobel, a mother and son team, when they were going back up Nanga Pharbat in 1996.It was good to know they still had their feet on the trails.The woman I trekked with said her porters had told them that the Shaws were the only westerners who had such a great wealth of experience and knowledge. Outside Books introduces a unique series of international sport/travel guides: your favorite adventure sports, our top picks--worldwide--of where to pursue them. Follow in the footsteps of early twentieth-century explorers on twenty treks spanning six continents that range from Everest Base Camp to a pilgrimage across the Pyrenees. They include: the mysterious Ruwenzori mountains in the heart of Africa; five classic Himalayan tours, including the Annapurna Circuit and seldom-visited Snow Lake; an adventure to the Tekes River Valley in central Asia, country rarely seen by Westerners since the Soviets sealed off the region in the 1920s; sunset from the summit of Mount Kilimanjaro, Tanzania, the highest point in Africa; a hut-to-hut trek in Italy's storied Dolomites; and a llama trek through the surreal redrock desert canyons of southern Utah's Escalante. For nearly thirty years, award-winning Outside magazine has been bringing together the best in adventure travel, sports, nature writing, and photography. Now, W.W. Norton and Outside come together to bring that same excellence to an exciting new line of books. A great overview of the best treks out there...but not really enough detail on any individual trek without going to another source for detailed information. The description of this book was mis-represented to me. I searched for books containing 3D photos or photography. The description allowed this book contained the same. It is an excellent book for its intended genre and is a nice addition to your coffee table or guest shelf if interested in the genre. 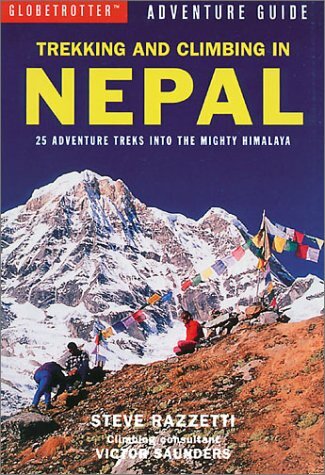 This is a beautiful book with lots of nice, colourful pictures of the Nepal Himalayas. Almost every single trek that I know of, from Humla, Mustang to Dolpo, Manaslu, Dhaulagiri Circuit and Kachenjunga is mentioned. Even the trekking peaks are covered. Of course, the usual areas like Everest, Annapurna and Langtang are also covered. Every trek that is being described comes with a box telling you the duration, access, highest point, trek style (whether camping is required), restrictions/permits and sidetrips. 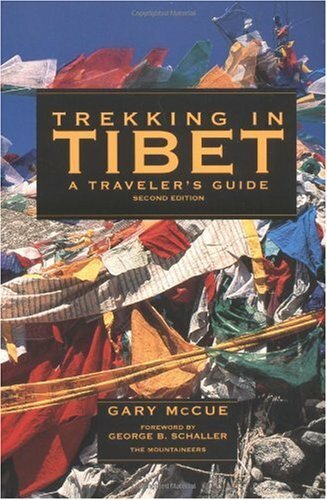 In between the treks, there are also information on Nepalese culture and traditions. However, if you think that all this is too much for a small, glossy book like this, then you're right. 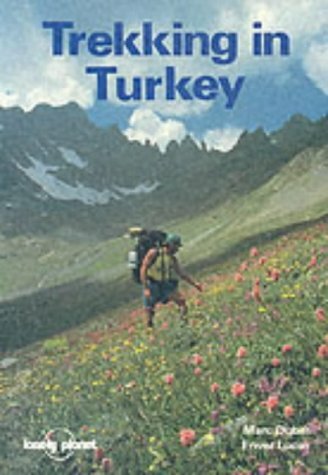 I find the info on some treks quite sketchy. You'll probably need additional references if you're going into a restricted area. Another problem is that this book looks more like coffeetable book than a rugged reference to be brought into the outdoors. I would hesitate to bring it on my trips. 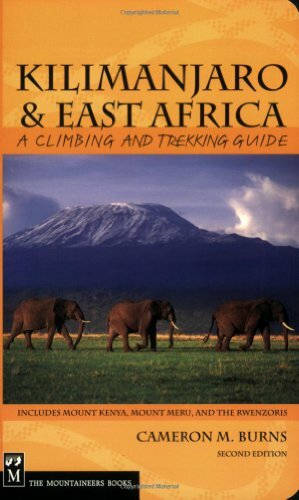 Climb East Africa’s highest peaks—via non-technical and technical routes—in this updated guide to Kilimanjaro, Mount Kenya, and more ·	More than 50 routes, including summit walk-ups and serious technical climbs ·	Completely updated and expanded descriptions of travel to and from East Africa and the major trekking and climbing destinations ·	Entire new sections devoted to the standard trekking route on Mount Meru, Kilimanjaro’s nearly 15,000-foot neighboring peak, and the trekking circuit in the Rwenzoris of Uganda, with detailed route descriptions to the three highest summits in the region—Mount Stanley, Mount Speke, and Mount Baker For trekkers or climbers hoping to reach the top of Kilimanjaro—one of the coveted Seven Summits—or challenge themselves on the remote spires of Mount Kenya, or explore East Africa’s lesser-visited areas such as Mount Meru and the Rwenzoris of Uganda, this completely revised guide is ideal. Author Cameron Burns includes everything you need to know to plan a safe and successful visit to the region, including up-to-date trip planning information and prices, tips on transportation and places to stay, as well as the scoop on hiring outfitters and obtaining permits and visas. A down-to-earth career advice book with a healthy sense of humor. Great insiders' tips and interviews with those in the field. Colloquial yet substantive, irreverent yet right on point. This is the first book I've bought on job hunting, because I'm about to graduate from college this May.I loved all of the jokes and puns that the authors put in the chapters to keep your attention.I really dug the section where they showed what good and bad cover letters looked like.And the part where they talked about the most common interview questions and how to answer them was really cool too. 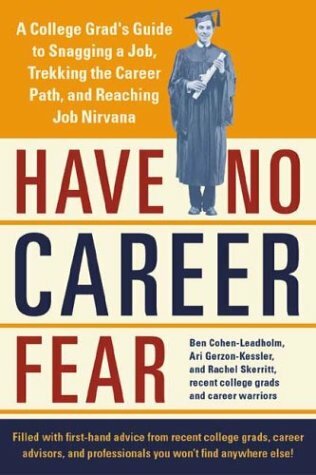 I found this book to be extremely helpful.The tips from other recent college grads are terrific.The conversational style of the book makes it both a quick and enjoyable read.It is nice to finally read a career advice book written by a peer. I returned this item because despite its very beautiful pictures, it is really made for serious trekking, and not hikers, like me. I recommend for those who has more time for longer trekking vacations. Beautiful book anyway! THIS IS THE 'DREAM BOOK' to INSPIRE! YOU HAVE TO HAVE THIS BOOK. My Husband, three days after the purchase of this book, planned his next trek... it is WONDERFUL! An inspiration! Get out and ENJOY the WORLD. Beautiful photos and good graphics. A friend let me borrow his book!I liked it so much I had to buy one of my own!Great info in preparing for my trip! 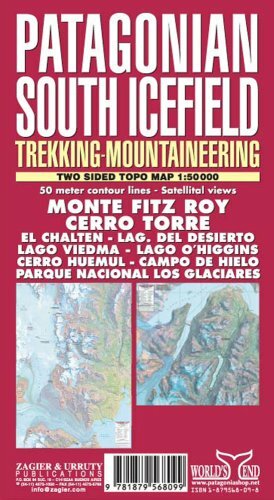 This book provided the information I needed and was more thorough than the new Lonely Planet equivalent, Trekking the Andes. 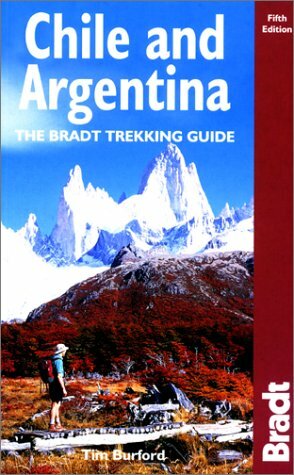 I bought both and I'll take the Bradt guide to the Andes. 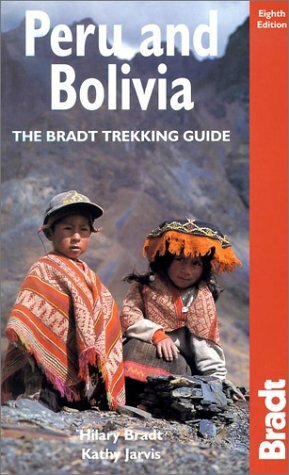 We love the Bradt guides, because they're "personal", innovative, well-written and in-depth. If you like to explore the non-obvious, to get off the beaten track (without necessarily missing out on the highlights), this is the guide you're looking for! !